How to measure for a canopy, simple instructions for first step. 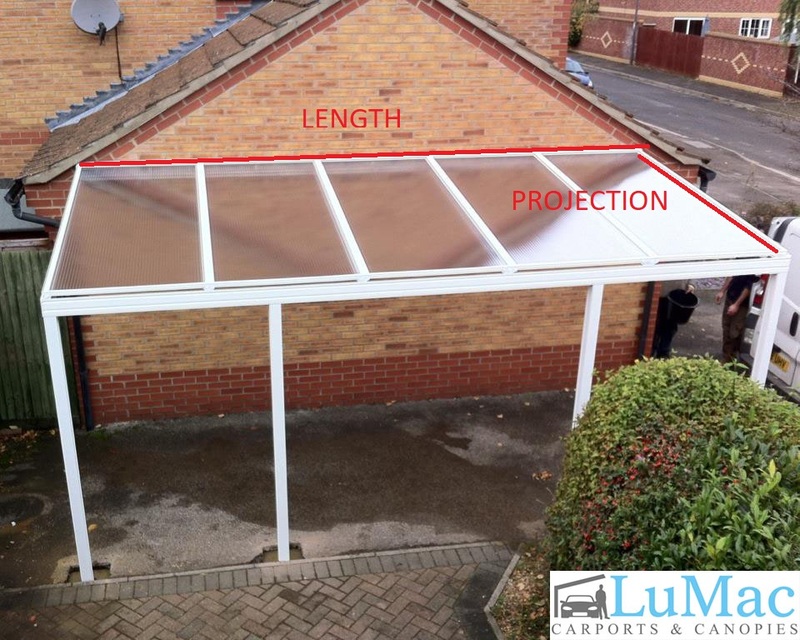 How to measure for a canopy is a question our customer’s often ask because it is how we provide a quote. The first measurements which need to be taken are simple, just the length and projection. You can do this at ground level because we will help to work out the angles needed to allow for the pitch. Where will the canopy sit? The canopy will sit inside the measurements you provide for length and projection. This includes the leg posts, which means no part of the canopy will protrude over the size you give us. Also as each canopy is made to measure we can be very precise with providing exactly what is needed. What other measurements are needed? The wallplate itself is 150mm so this would need to be added on to the calculation to find the overall height. If any help is needed with this process our friendly team can help.